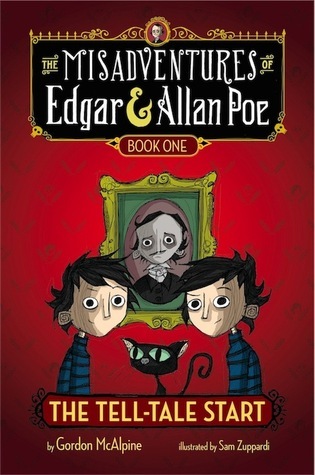 The Misadventures of Edgar & Allan Poe by Gordon McAlpine is a middle-grade series that should appeal to young and old alike. The first book in the series, The Tell-Tale Start, has recently been released. Like many middle-grade novels, this one also contains illustrations – in this case, done by Sam Zuppardi. At the start of the novel, readers are introduced to Edgar and Allan Poe, who are the twin great- great- great- great- grandnephews of the famous author. Edgar and Allan Poe are a unique type of twins in that like identical twins, it is virtually impossible to tell them apart, but unlike other twins they also experience and absorb everything that happens to the other twin. So for example, if one reads a book, the other also gains that knowledge. While this might be cool trick for a couple of young boys, it also has created an interest within the scientific community. Somebody wants the twins for experimentation. Known for getting themselves into all sorts of trouble, the Poe twins are popular amongst their peer group, but not so much with those in authority. When their much-loved pet cat, Roderick Usher, goes missing the boys are unaware that a plot against them is unfolding. Retrieving the cat requires a road trip with their Aunt and Uncle from Baltimore to Kansas and there in lies many of the misadventures foretold by the title. Helping the twins on their quest is Edgar Allan Poe himself, who now resides in a purgatory type location from which he is able to send coded messages. Poe’s after-life job is writing the fortunes found in Chinese fortune cookies, which he can use to communicate with his nephews. If only he had listened to Mr. Shakespeare (his boss) when he was told that messages often get garbled when sent between worlds. This of course leads to much confusion and hilarity on the twin’s part. 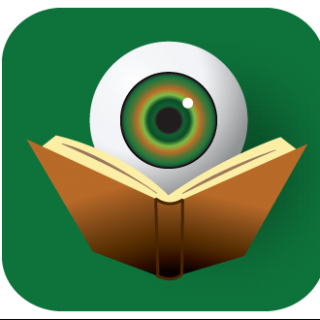 This is a great book for reluctant readers who enjoy darker tales such as those written by Lemony Snicket, however, I would suggest that parents read the book first to ensure that the topics addressed are not too much for their child to handle. The experimentation that the scientists wish to do on the twins involves the need to kill one of the twins, so this is not a story for everyone. Of course, as one would expect, things don’t go as planned for the scientists, but parents should know that this topic is a central element of the novel’s plot. The Tell-Tale Start is only Book One of The Misadventures of Edgar & Allan Poe, so there should be plenty more fun journeys to take with the twins in the years to come. Sound like so much fun! I love mysteries and have an identical twin (no special powers, though), so I’m definitely interested in this one. My children are grown, but I just wanted to comment that I would have appreciated a thematic heads-up like the one you handled so sensitively in this review. It probably depends on the child/family, but it is always good to know beforehand about something that a child might have difficulty processing!